It's been a busy couple of months, school is almost finished for the summer and the British strawberry season is here. I have an overload of beautiful garden raspberries and these little tarts are one way to use them up. I used Dorie's sweet tart dough from this post and filled the baked cases with a little whipped double cream. Just add ripe, summer fruits. Last Saturday, my 15 yr old son took me to Wimbledon! His name came up for tickets at our tennis club, and because the person in front of him swapped his tickets for No. 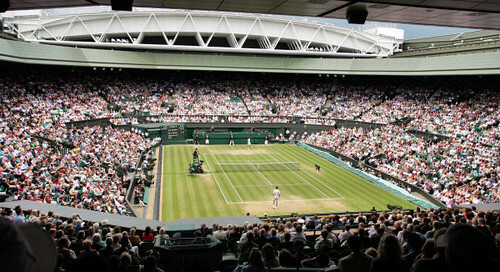 1 court tickets, we got seats on centre court. Although I've been a few times before, these were really good seats, not too far up and just behind the royal box - which was interesting because it was 'Sporting Saturday' and they had quite a few members of our Olympic gold medalists as guests, including Sir Steve Redgrave, Sir Matthew Pinsent, Dame Kelly Holmes, and Sir Chris Hoy along with other members of our winning cycling team. The weather was wonderful as we walked around - you can get right up to the edge on the outside courts - the sound that the racquet makes as it hits the ball is electrifying. 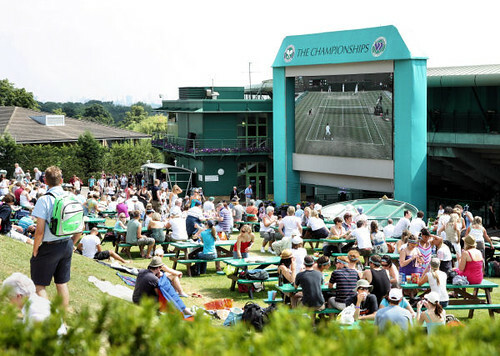 We sat on the famous 'Henman Hill', which was filled with anticipation as our man Andy Murray would be playing later, then headed off to centre court for the main matches. Wow Nic....what a great day you must have had....I'm not a fan of sports in general, but you got to see some very good matches. Hi Nic loving the strawberry tarts just perfect for Wimbledon season. 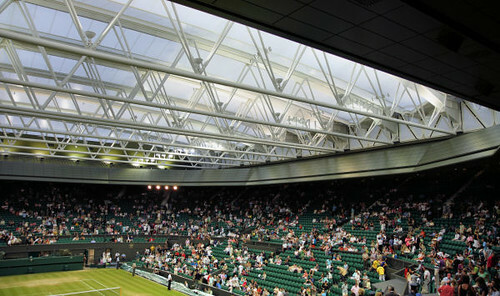 WOW - how lucky to get good seats centre court it must have been spectacular Nic. I have only ever been once and as you know I'm a fan of Wimbledon and tennis. Sounds like a great day and your little strawberry tarts look lovely. Come on ANDY! 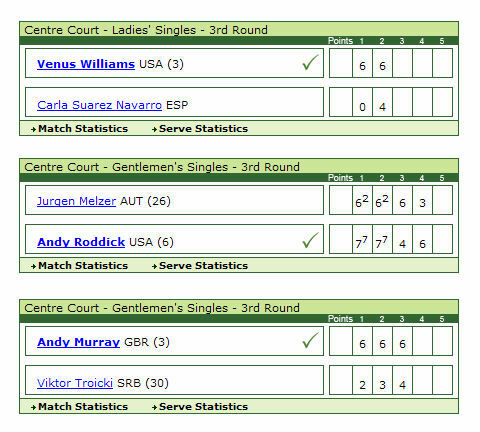 I'm completely green with jealousy from the Wimbledon experience! you're so lucky!!!! I was just watching it in TV: not the same!!! I'm glad you had this great experience and that you shared it with us :) Thanks! The tartlets look like the perfect way to capture summer in a pastry! Sounds like a fun day out, did you try the famous Wimbledon strawberries? Those tarts look simply delicious! They remind me of the summer I ate tarts all the way from London to York. And lucky you, getting the good seats at Wimbledon. Sounds like a fabulous outing. Patchwork - my other son got to go last year with hubby, and so this year it was my turn. I don't mind some sports, but would pass on golf for sure, LOL! Rosie - it was pretty spectacular, great atmosphere! Snooky - I am soooo lucky! I will be glued to the tv to see Andy Murray on Friday. Katie - yeah, GO ANDY!!! Marta - wish I could have snuck you in as well, nevermind - tv is the next best thing! Sam - I wasn't in the mood for the strawberries, but did have some Pimms at £6.30 a pop!! Lisa - wow, that's a long way for the tarts to come from! Hope they were good. The tarts look just perfect. 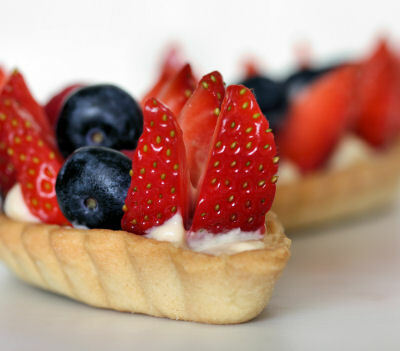 Those strawberry and blueberry tarts look wonderful and very tempting. 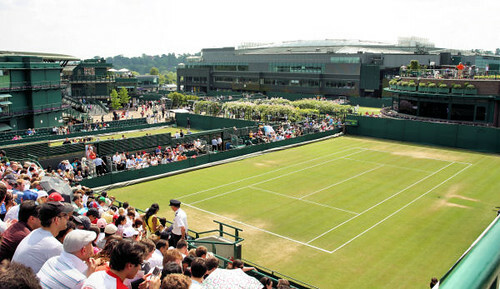 although tennis isn't necessarily my favorite sport, seeing the game played at wimbledon is definitely on my bucket list. great pictures, and great tarts--those pans are so uniquely shaped, i love them! I have been watching on BBC1 & BBC2 every day, since Wimbledon started! I am also for our Andy Murray!! 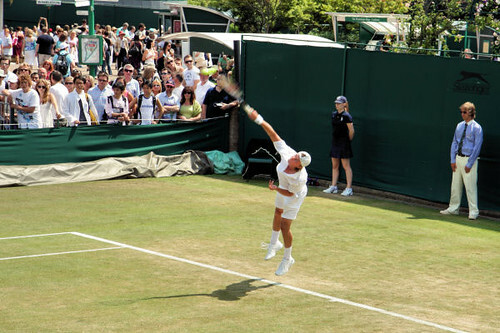 But he has to watch out for Andy Roddick, if he wants to make it to the finals! 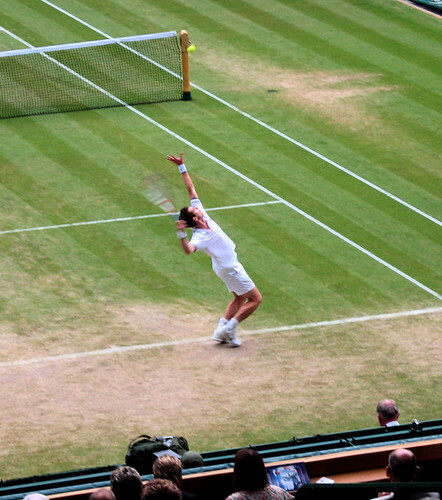 Lovely pictures too from Wimbledon!! That must have been a fantastic experience, Nic! I'm so happy for you! those tarts are amazing! and so is wimbledon :) looks like you are having a great summer! Wow - lucky you! And what a lovely son you have! Wimbledon should start selling your tarts! 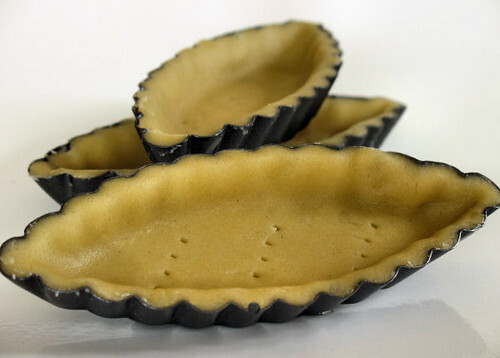 I really like this tart tins, very cute tartelettes ! This is my favourite thing to do with strawberries and raspberries in summer! Perfect Wimbledon food, heh. I deleeted my twitter file because it is not a thing for me! sorry about that! I realy don 't like the twitter thing. I don't have time for that! Wow you had great seats! Tarts and Tennis, this is a great post. Your tarts are so cute! 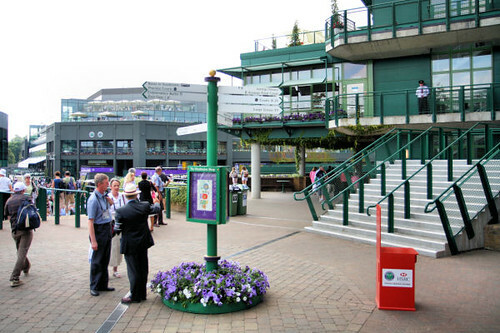 Wow Wimbledon would be such a great event to attend. I watched the matches on tv, it was great. Love the pastries, so elegant.